Just because you need a massive SUV to haul around your gear and your family doesn’t mean you have to give up the luxury that you enjoy. Choose the INFINITI QX80 and let it be the big and bold SUV that offers you the modern luxury feeling you’re looking for. This can be the perfect model for you to lease and drive on the roads near Kenner, LA with your family. They will admire the look and the quality of this big vehicle and you’ll be glad to have the capability and comfort offered. You need a vehicle that’s capable of towing your boat or trailer and you want that vehicle to offer you the high-end luxury features you’ve come to know, the INFINITI QX80 sits at the top of the list. Let the team at Ray Brandt INFINITI show you what this impressive SUV can offer for your drive. When you see this team, you’ll be able to take a test drive and learn more about everything that the QX80 has to offer for your driving experience on the roads in your area. The top of the trim list for the 2019 INFINITI QX80 is a new trim that gives you more for the drive you want to make. Lease the INFINITI QX80 Limited model and enjoy the quality features and the drive on the roads in Kenner, LA. This trim comes standard with every available option including AWD. The Luxe trim now adds equipment that was optional in the past including forward collision warning and emergency braking with pedestrian detection. Take this impressive SUV out for a ride and start driving today. When you get behind the wheel of the QX80, you’re going to enjoy the features that make this an SUV that you love to drive. One such feature is the distance control assist which allows the vehicle to slow and eventually stop if you become drowsy when you’re driving. This SUV also offers you hydraulic body motion control to help you have the confidence you need on the road. This feature reduces the lean of the vehicle with a heavy set of stiff springs that will keep you firmly in control of the drive. 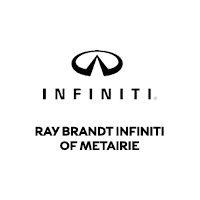 If it’s time for you to choose the right INFINITI QX80 to lease and drive on the roads near Kenner, LA, you need to see the team at Ray Brandt INFINITI today. This is the dealership that offers you the right vehicle at the right price to make it easier than ever for you to enjoy the benefits of a large SUV with the power you need that can give you the drive you’re looking for. Visit this dealership team today and choose the QX80 that will make it easy for you to smile while you drive.